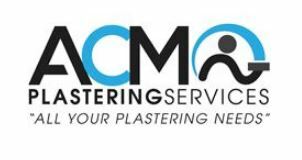 A C M Plastering Services - Plasterer based in Warminster, Wiltshire. Hello, my name is Adam, I am currently a sole trader who was given the opportunity to become a plasterer after asking my old boss for a chance. Well I never looked back, and I am looking to pass the opportunity on myself someday. I have been plastering since 2010 when I started my 3 year apprenticeship and completed with distinction level 3 NVQ. I love plastering I get a great deal of self-pride and accomplishment when I transform someone's extension/bedroom/house etc, into a fresh new finished room. I will always tidy up after a day’s work, I pride myself highly on my work and will always complete a job on time to a good standard. I will undertake all aspects of plastering. Please don't hesitate to call any time if you have any queries.